The Art Shack is Ready to Roll! 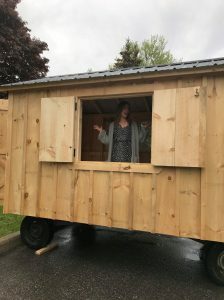 The Art Shack is a collaborative project between Downtown Carleton Place, the Carleton Place Public Library, and The Town of Carleton Place, and this summer we are so excited to start showcasing incredible local art and artists right in the downtown core! What is an Art Shack? It is a spot for all to engage in art. We need teachers of art, music, literature, drama, we need donations of money for art supplies, and we need YOU to take part. This is a partnership between, Downtown Carleton Place, the Carleton Place Public Library, and The Town of Carleton Place. It is a place to bring and engage local artists. The concept is similar to popular paint nights – a place to learn and do art. Best of all, it is free. It can be many different forms of art, like painting, mobile making, papier-mâché, or music lessons. 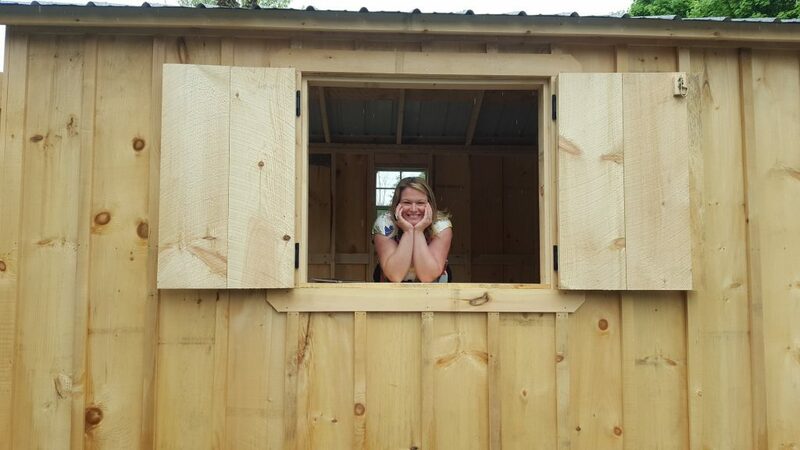 A great big shout out to JP, Jennifer, and the rest of the team at Kodiak Custom Sheds for building and donating our beautiful Art Shack. We can’t thank you enough for making the Art Shack dream a reality. It is absolutely perfect!